This is the second time in my entire academic life that I’ve been fortunate enough to be in a comic book class. The first one was taught by Professor Emil Flores from the Department of English and Comparative Literature from the University of the Philippines which was mostly a writing class and that was almost twenty years ago (gasp!). I’m not a natural born artist like other people. But through time and peserverance I could actually draw or paint some stuff but nothing that would get me published anytime soon. I based my self portrait on my Mii profile. 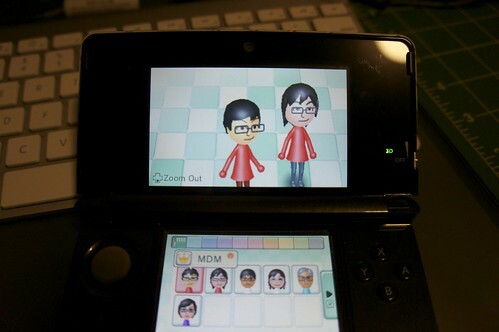 The Nintendo Wii and 3DS have built in programs that would allow the user to create a 3D avatar of yourself and (if supported by some games) be included in the action. Microsoft and Sony also released a similar avatar creator for the Xbox and PS3 but sadly it isn’t cute. The Mii creator actually simplifies the process by letting you select from pre-exisiting templates and start from there. Some people have easy faces to draw on but somehow, my face has proven to be difficult. Difficult in a way that there’s no given set of images that suit me. After a while I’ve finally settled down on a particular image for myself. The image on the left is the avatar I created using the 3DS and the one on the right is the image created on the Wii. My sister argues that neither look like me. 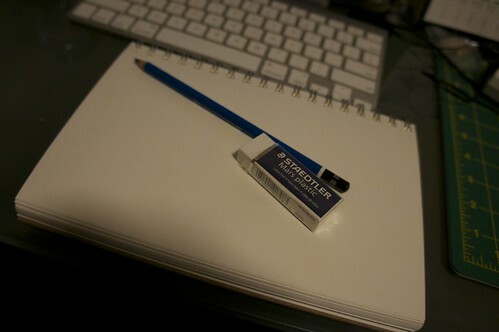 From here I started sketching myself. I’m really out of practice at this stage. I noticed that my glasses the shape of my face and my hair are the most noticeable features of my face. My eyes aren’t that significant unless I take off my glasses, but that would be something else. It’s hard to draw myself when I can’t see without my glasses. But it’s a start.